Remember that low tech video of Mick Bezzina in the introduction to the tool box? He reckons if he can do it, anyone can and here is your chance! We’ve done some thinking about how we can get teachers to share their great experiences with people other than those at their own school. The idea we came up with is an Authentic Learning TV site. We’d like to encourage you to think about making your own video, in which you share your experience of authentic learning. We are not interested in your skills as a movie maker, but in your ideas as a teacher, so don’t worry too much about the technical side of things. It doesn’t have to be long. In fact we don’t want anything longer than 4 minutes, because people won’t really get the most out of longer videos. Who you are and where you work. An explanation of the learning experience- class, KLA, what took place. Your reflections on why this was an authentic learning experience. Here are the steps to making a one shot, no edit simple video. (There are some tips for more elaborate productions that might involve classroom footage, and a link to Windows and Apple templates for editing your movie here if you are interested). Decide on what you want to say. Have a couple of dry runs. Time your material to be sure it doesn’t exceed 4 minutes. Record a few seconds and check that the image and sound are clear. Record your story of authentic learning. Remember to look at the lens and to speak slowly. Watch your finished product and decide if you are happy with it. ii) share it with aus.curriculum@syd.catholic.edu.au. (Please use your surname as part of the file name for the video). iii) complete this short Google form to provide us with information about your video. something for note taking e.g. Laptop, ipad or pen/paper. PowerPoint and segment of Lisa Donahue YouTube (Belinda Dew) looking closely at processes and concurrent processes. Louise Murray introduces the session using the three stars and a wish strategy. Part 1: Sam introduces the different reading scope and sequences from different schools and look closely at the one she created at Maroubra. Task: With the person next to you discuss & create a plan for a 3 week block of reading based on your chosen text taking into consideration the ideas presented today. eg choose an outcome, select the content, teaching/learning experiences. Conclusion: Is there anything new in your plan? 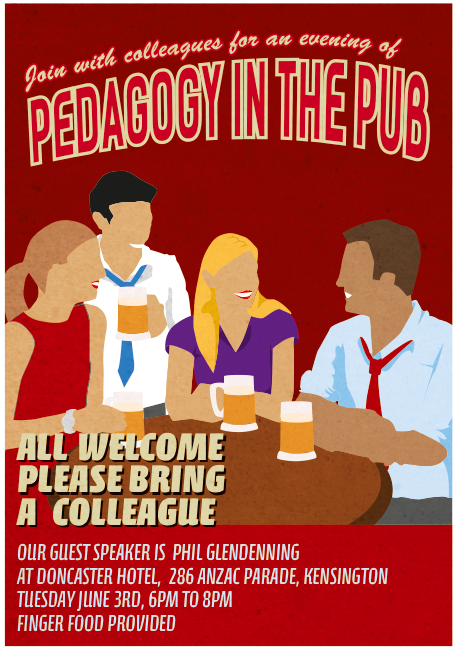 The Teaching & Learning Team at CEO Leichhardt is hosting a series of evening conversations linked to our current focus on authentic learning called "Pedagogy in the Pub." We are engaging different speakers to challenge and provoke us, and to have a short conversation and discussion with teachers in a congenial and informal atmosphere. The focus is on conversation. It aims to be an open forum in which the everyone is invited to ask questions of the presenters or express their own point of view on the topic. Please see the attached flyer for information about the speaker and venue for the inaugural “Pedagogy in the Pub.” There are limited spaces available so please fill in this google form to indicate if you are attending. First in, best dressed! Staff from Blessed Sacrament and Sacred Heart are invited to gather together on Wednesday 7th May to explore the relationship between parents and authentic learning. 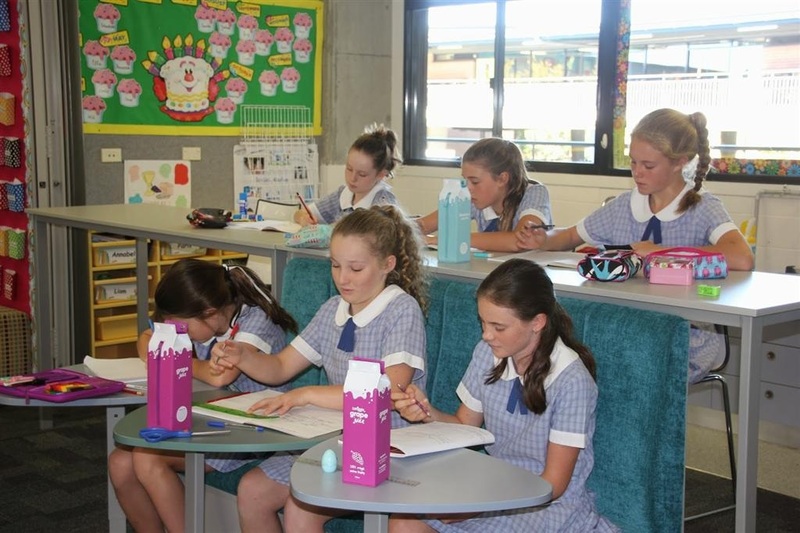 Since 2012 the Sacred Heart School community has been engaging in our 'Classrooms for the 21st Century' project which focuses upon the creation of optimal learning environments for today's students and teachers. We extend our gratitude to our parent community for their tremendous fundraising efforts that, at the start of 2014, have seen the transformation of our Years 1, 2 and 6 learning environments. We anticipate that we will develop new learning environments in Years 3 and 5 during 2014 before completing the project in 2015. 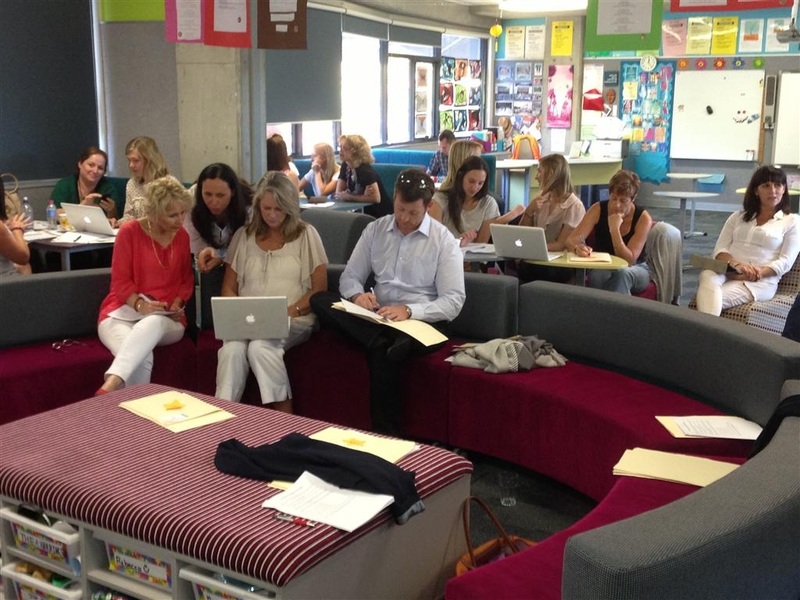 The importance of classroom learning environments is being recognised right across the Sydney CEO schools.